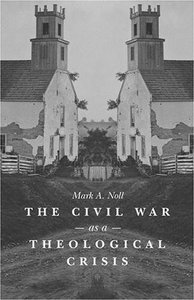 In his book The Civil War as a Theological Crisis, Mark Noll sets himself to the very complex task of providing an overview of the theological debates which occurred prior to - as well as following - the United States Civil War. Having just finished the book yesterday, I can say that it was quite an eye-opening read. I was especially surprised with just how unclear the issues really were at the time. It is the simplest thing in the world for us, as open-minded, liberal, 21st Century Americans to look at the southerners as simple-minded, Bible-perverting monsters for whom the Scriptures were a tool to control people and to justify wicked behavior. On the flip-side, it is clear to me that there were, in fact, people who opposed American Black Slavery as experienced in the south who, through reasoned arguments and Biblical examination demonstrated (certainly to my satisfaction!) that slavery ought to be ended. These voices, however, were drowned out by the more popular - albeit less Biblically focused - advocates of abolition. In the end, the narrative which most people tended to believe was that, by the letter of the Scriptures, the slaveholders won the field, but that everything in the ethics of Christ and his followers screamed for abolition. In the end, those are the sorts of generalities that tend to appeal to historians - as well as the populace as a whole, which years for a simplistic narrative explanation for the events surrounding the civil war. The theological agenda of the abolitionists was often perceived as a reason-first approach (as opposed to a Bible-first approach) that was seen as involving compromised views of Scripture. This was partially because a few of the defenders of abolition did, in fact, hold compromised views of Scripture. The southerners, such as Thornwell, seized on these opportunities to overgenerally point out that their abolitionist views stemmed from a flawed view of the Bible. Any views which were more middle of the road and which involved a nuanced critique of Hebrew slavery versus black-only American slavery were simply lumped together with the other Enlightenment-inspired arguments, which tended to appeal more to the genuine democratic spirit than to Biblical texts. On the eve of the Civil War, interpretations of the Bible that made the most sense to the broadest public were those that incorporated the defining experiences of America into the hermeneutics used for interpreting what the infallible text actually meant. In this effort, those who like James Henley Thornwell defended the legitimacy of slavery in the Bible had the easiest task. The procedure, which by 1860 had been repeated countless times, was uncomplicated. First, open the Scriptures and read, at say Leviticus 25:45, or, even better, at 1 Corinthians 7:20-21. Second, decide for yourself what these passages mean. Don’t wait for a bishop or a king or a president or a meddling Yankee to tell you what the passage means, but decide for yourself. Third, if anyone tries to convince you that you are not interpreting such passages in the natural, commonsensical, ordinary meaning of the words, look hard at what such a one believes with respect to other biblical doctrines. 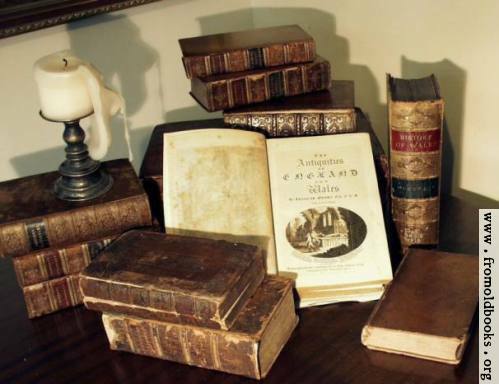 If you find in what he or she says about such doctrines the least hint of unorthodoxy, as inevitably you will, then you may rest assured that you are being asked to give up not only the plain meaning of Scripture, but also the entire trust in the Bible that made the country into such a great Christian civilization. By Noll's estimate, the abolitionist agenda was often (and for the most part) badly argued. Many of its advocates utilized a compromised methodology and in the end, the overall image of the abolitionist movement was one which serious Bible-believers were told they could not abide. In the end, the 'Reason First, Bible Second' hermeneutic that carried the day when the Civil War ended. This hermeneutical transition was already well under way into the American mindset before the war, to be sure. However, the violence of the civil war cemented this approach to Biblical interpretation once and for all into the American psyche. Sadly, as Noll points out, the issues were not in the end decided by the theologians or philosophers - the were argued and settled by the generals and their men. One of the more fascinating chapters in the book was near the end when Noll reviewed the opinions of Roman Catholics from outside the United States. It is interesting, and yet not at all surprising that the RCs very much concluded that the civil war was the fault of Protestant hermeneutics and a lack of authoritative church structures (as though there had never been civil wars in Roman Catholic lands!). This book filled a large blank-spot in my understanding of American - and especially Presbyterian history. For, example, I did not know that Thornwell held that blacks were literally inferior to whites. I could not have imagined that such a respected Presbyterian theologian would actually say the kinds of things that Thornwell evidently said. On the flip-side, I was surprised at how fair-minded Hodge seemed to be with regards to his opinion of men like Thornwell. Princeton's Charles Hodge, on the other hand, defended abolition and at the same time seemed to intone that if he had found himself in the south he might just be defending slavery, himself.